As in previous years, the KITZ-CHARITY-Trophy will raise awareness for a good cause: This year marks the 22nd time that financial aid will be given to mountain farmers facing difficulties in the Tyrol and South Tyrol. Last year, a sum of 150,000 € was raised for affected families by countless sponsors and contributors. In the past, stars such as World Champion Formula 1 racer Sebastian Vettel and his colleague Max Verstappen, as well as singer Ronan Keating and actor Tobias Moretti have taken part. 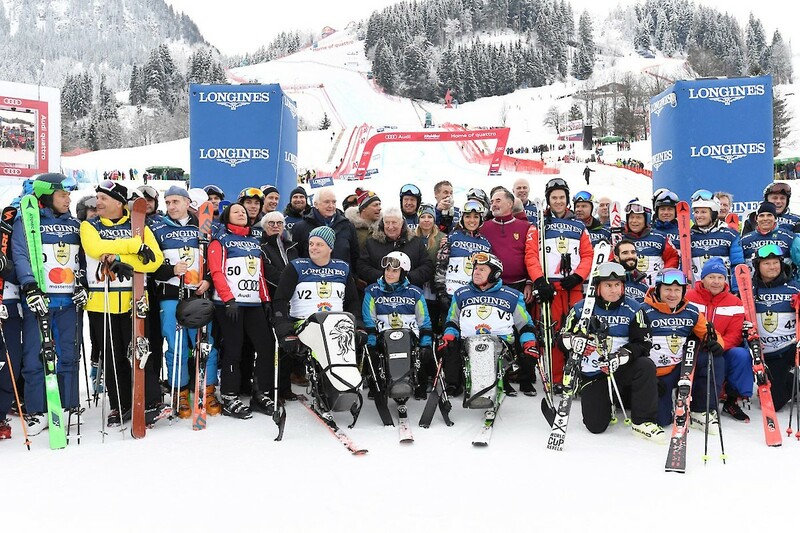 The grand finale of this thrilling charity event was the appearance of former ski racers and legends Anderl Molterer, Hias Leitner oder Marlies und Benni Raich. In 2019, celebrities will come together in the name of charity and athletic challenge for the 22nd time. The charity event will take place this Saturday, 26th January 2019, after the men’s Slalom on the final stretch of the notorious Streif. At 14:00 hrs, when the whistle blows, Race Director Bernie Ecclestone will be waiting to receive the participants in the finish area. Thanks to the collaboration between the WWP agency, Kitzbühel Ski Club and land owners Dr. Klaus Reisch and Evi Klingler, help will reach those who need it most this year.